Revolver was a revolution for Rock & Roll. It’s hard to believe this 1966 album was made just two years after The Beatles broke in America with songs like “I Want To Hold Your Hand” and “Can’t buy Me Love”. They’re excellent songs, but nothing like the style of recordings The Beatles created for Revolver. The very first song of the Revolver sessions was “Tomorrow Never Knows” in April of 1966. This is the one where John Lennon sings: “Turn off your mind, relax and float downstream.” The recording has backwards guitars, ADT (automatic double-tracked) vocal, experimental tape loops that sound a bit like seagulls, variable-speed recording, psychedelic lyrics, and half of Lennon’s vocals were through the spinning horns of a Leslie Hammond organ speaker. A far cry from “I Want To Hold Your Hand”. I admit it took me awhile to get into “Tomorrow Never Knows” when I first got the album in 1966. The song was startlingly different from anything I’d ever heard. The Beatles had obviously embraced the recording studio as an art form, and didn’t care if they could play these songs on their final concert tour that year. Before “Eleanor Rigby”, no one would have imagined a Beatles song with none of them playing on it. The instrumentation is only an octet of strings impressively arranged by George Martin. Like most of the songs on Revolver, the lyrics had evolved far beyond The Beatles’ early work. Paul McCartney did the lead vocal, and George & John provided background vocals. This album was a high point for Paul McCartney. Besides “Eleanor Rigby”, his songs include two of his most beautiful…”Here There and Everywhere” and “For No One”. Plus, “Good Day Sunshine”, “Got To Get You Into My Life”, and he was the main writer of “Yellow Submarine”. He also wrote “Paperback Writer” which was a #1 single from the Revolver sessions. Besides “Tomorrow Never Knows”, John Lennon contributed “She Said She Said”, “And Your Bird Can Sing”, “Doctor Robert”, and “I’m Only Sleeping”. Almost unbelievably, those last three songs were taken from the album and released about a month and a half earlier on the American album “Yesterday”…and Today. Sure that meant Americans got an early sample of the new album (although we didn’t know it at the time), but it left Lennon with only two songs on the U.S. version of Revolver. After that, all Beatles albums were the same in England and America (except albums that collected old singles). Lennon also wrote “Rain”, which was the flip side of “Paperback Writer”, the single released prior to the album. Rain was the first rock/pop song to have a backward vocal. George Martin had reversed the tape for the last line of the song, and The Beatles liked it. Backward recordings were used throughout the album to give the instruments new and unusual sounds. That included George Harrison carefully constructing guitar solos so the melodies worked when the tapes were played backwards. If you’ve never listened closely to “Rain”, check out the extremely effective and unusual drumming by Ringo Starr. It’s doubtful any other drummer could have come up with anything so perfect for the song. For the first time, a George Harrison song, “Taxman”, was the lead track on a Beatles album. The song lyrics are in response to the English government taking 95% of their money when they entered the highest tax bracket. “Taxman” is a rocking song, with excellent guitar solos by Harrison and McCartney. George also wrote “Love You To”, which featured extensive use of Indian instruments, and “I Want To Tell You”. The latter is a good song, but the prominent dissonant piano notes usually caused me to move the turntable needle to the next song. For me, that arrangement choice is the only real flaw of the entire album. “Yellow Submarine” and “Eleanor Rigby” were the only singles released from the album, and they were on the same 45. Paul McCartney says “Yellow Submarine” was always meant as a children’s sing-a-long song, and doesn’t have any unusual meanings as sometimes speculated. When McCartney played his unfinished song for Donovan, the singer/songwriter gave McCartney the line “Sky of blue, sea of green”. “Eleanor Rigby” is a masterpiece. It was mostly by Paul McCartney, but he did get some lyric suggestions from Lennon & Harrison, plus that brilliant string arrangement from producer George Martin. Martin said he based the attack-style violin playing on the music used in Alfred Hitchcock’ movie Psycho. If someone pushed me to name my favorite Beatles song, I’d say “Eleanor Rigby”. I later found out it’s the only song The Beatles ever recorded on my birth date…April 28th. Coincidence? There were engineering and production techniques that assisted The Beatles in realizing their vision for the album. Geoff Emerick, then just 20 years old, became the engineer for producer George Martin. Emerick was the one who suggested putting Lennon’s voice through a Leslie speaker when the singer asked to have his voice sound like “The Dalai Lama singing from a mountain top.” Emerick also used new techniques for improving the recording of Paul’s bass guitar and Ringo’s bass drum. His innovation with placing microphones close to instruments missed when he put them inside the bells of the horns on “Got To Get You Into My Life”. Yeah, it was different, but the tone came out sounding thin and pinched. The technique has probably not been used since. But, that’s just one small misstep among the otherwise innovative engineering, and it didn’t ruin the song. Emerick went on to win Grammy Awards for engineering Sgt. Pepper and Abbey Road. The appreciation for Revolver has grown over time. For decades, Sgt. 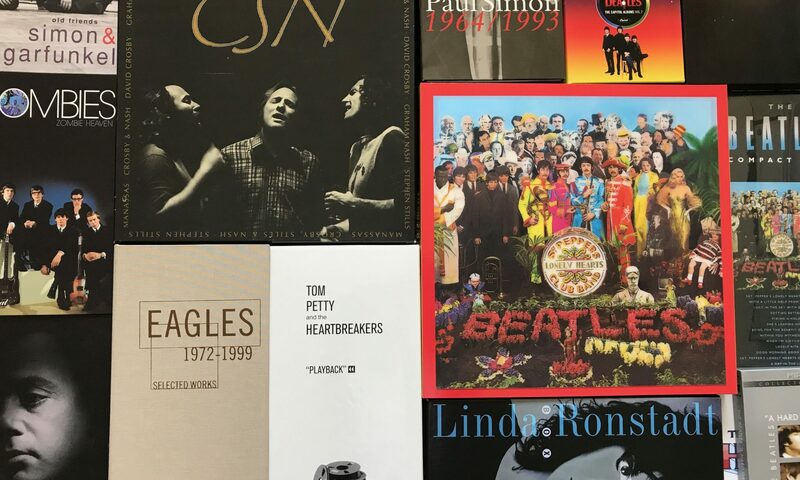 Pepper’s Lonely Hearts Club Band has topped most lists that attempt to rank the best albums of all time. In recent years, Revolver has sometimes taken over that spot, or has been very close to the top. Some of that may be to simply provide a change from the obvious choice, but it may also be because people came to realize how Revolver was truly a breakthrough.